Impact investing is the fastest growing investment strategy in Europe and a precursor to our belief that investment capital can and should address some of the most pressing social and environmental challenges as defined by the UN Sustainable Development Goals. With global leaders agreeing on a universal 2030 sustainable development agenda, it is imperative that each individual, organization, and country contribute to societal change. The Impact Summit Europe is an investor- and invitation-only conference that aims to catalyse private institutional capital to support the financing of the SDGs and the mainstreaming of impact and sustainable development investing. The Impact Summit Europe does not only offer an inspiring platform for investors to share knowledge, exchange best practices and challenge each other but also creates networking opportunities in the impact investment space, thereby making the experience enriching, fruitful and educational. The summit also provides a capital introduction and match-making platform across all asset classes to impact fund managers. 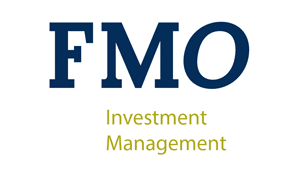 FMO is delighted to be a Gold Sponsor of the 4th summit which will take place on March 20 and 21, 2018 at the Peace Palace in The Hague, The Netherlands. Last year I posted a blog called “The new IRR - Impact, Risk and Return”. With almost 900 viewers, this blog is my best read post to date and triggered many enthusiastic reactions. In essence, I advocated a new IRR: looking at every investment taking into account its Impact, Risk and Return. "Influential people from emerging market countries make up a far smaller share than emerging markets’ 85% share of the world’s population, their 75% of global land mass or their 55% share of global GDP." “Well, emerging markets were down 3% again today.” This is how an institutional investor kicked off a meeting with one of my colleagues recently. The UN Sustainable Development Goals (SDGs) have been widely adopted as a useful framework for impact investing. Really? The UN Sustainable Development Goals (SDGs) have been widely adopted as a useful framework for talking about impact investing. Really! Na het succes van de eerste close van het NN FMO Emerging Markets Loans Fund zijn afgelopen week de eerste investeringen gedaan. Maureen Schlejen, hoofd institutionele relaties NN Investment Partners en Yvonne Bakkum, Managing Director van FMO Investment Management gaan in op de achtergronden van deze succesvolle launch. On October 26th, 2017 Yvonne Bakkum lectured impact investing classes at Harvard Kennedy school. Watch her vlog and share her experience. On November 13, 2017 Yvonne Bakkum was a guest in the studio of BNR newsradio - a well known and renowned Dutch radio station for the business comunity. The interviewed focussed on impact investing and how investors can create more impact by investing via FMO Investment Management. The search for a relation between environmental, social, and governance (ESG) criteria and corporate financial performance (CFP) can be traced back to the beginning of the 1970s. Scholars and investors have published more than 2000 empirical studies and several review studies on this relation since then. This study extracts all provided primary and secondary data of previous academic review studies. Of course there is much more interesting information to find on the web.